Routine's are an important part of a dog's life. 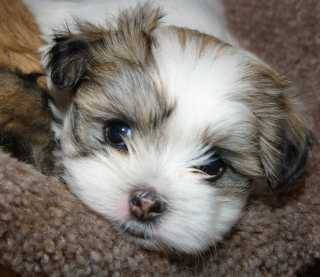 They can reduce stress, and even increase the longevity of your pup's life. Here are a few ways to create a routine for your dog. By feeding your dog a pre-determined amount of food at regular times, you can keep him healthier and help control his weight. It's generally suggested to split meals into two or three different feeding times. After choosing which times during the day to feed the dog, be sure to stick to a schedule and feed him at the same time every day. With regular exercise and feeding times, your dog should be on an equally regular bathroom schedule. Once a routine is established, pay close attention to when your dog most needs to use the bathroom after exercise and feeding times, and stick to it. Good times for bathroom breaks are in the morning and night, after exercise and intensive play, and after every meal. How often you need to groom your dog will depend on his breed, if he's an outside or inside dog, and other factors. 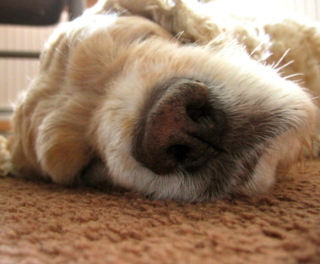 You can talk to your vet to get a basic idea of how often you should groom your dog. Start grooming by bathing your dog with a good dog shampoo like Earthbath All Natural Shampoo. Afterward, give your pup a thorough brushing. Be sure to brush the dog at least once a day, in the morning or at night if he's an indoor dog. Like children, dogs often need some kind of routine to help them settle down before bed. Start by deciding what time you'd like to send your pup to bed each night, and be sure not to feed or exercise him before bed. Provide a bathroom break so he won't have to wake you up in the middle of the night. Exercise is a very important part of creating a routine for your pup. If you can't take the dog outdoors, it's important to squeeze in some play and exercise time indoors. The amount of exercise your furry companion needs will vary based upon his age, size, and breed, but it's important to gauge your routine accordingly. Even if you don't have time to go through with a full exercise schedule, a fifteen minute walk is better than nothing. Once you establish a routine, go ahead and write it down. A simple checklist should do the trick for most people. Keep the routine up on a daily basis for a happy and healthy companion.